By allowing access to account information anytime and anywhere, IBC Voice simplifies your life by eliminating confusion. 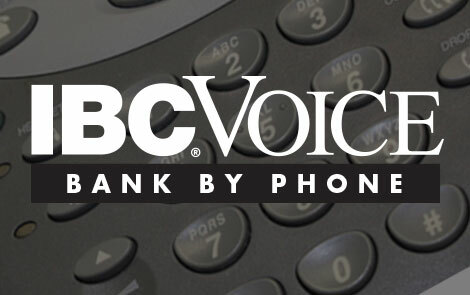 IBC Voice requires your own personal IBC Voice PIN for access, so no one else can get to your information. You can change your PIN at any time and as often as you want. If you do not have an IBC Voice PIN, or for more information, please contact an IBC Bank representative or visit the nearest branch for an IBC Voice demonstration, balance inquiries, and account information.